This giant inflatable beach ball is a must-have for your upcoming beach party. Everyone would enjoy playing with it on the beach. Grab one and you won’t regret it! We use only the best materials! 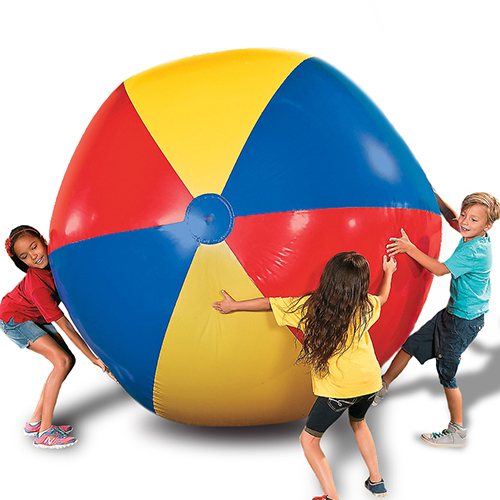 Made of thick heavy duty vinyl material, this giant inflatable beach ball can withstand normal usage for a long time. However, contact with sharp objects should still be avoided. Takes over an hour to inflate a beach ball and it ends up flat in just half a day? Our featured anti-deflation valve is specifically designed to hold the air for extended periods. Enjoy without worries!